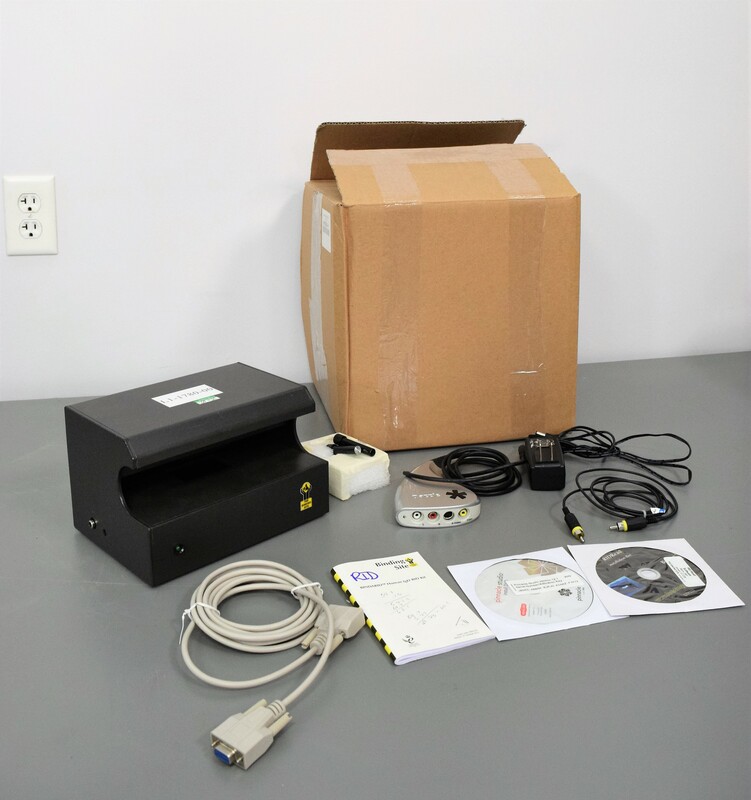 Binding Site RID AD400 Digital Plate Reader & Dazzle Video Device DVC100 . New Life Scientific, Inc. The RID AD400 Digital Plate Reader & Dazzle Video Device DVC100 is in good cosmetic condition, but is untested. The RID is to simplify reading of precipitin radial immunodiffusion rings. Although this equipment is untested; it is warranted to be functional and is protected by our 90-day warranty. Our in-house technicians visually inspected the Digital Plate Reader & Dazzle Video Device and confirmed it is in good cosmetic condition and is functioning properly. The Dazzle Video capture device is capable of running on Windows XP or newer. Easier with Vista as the drivers on the Dazzle CD are made for that. They were able to take a picture of the camera feed when a microplate was above the camera and received a nice clear picture.